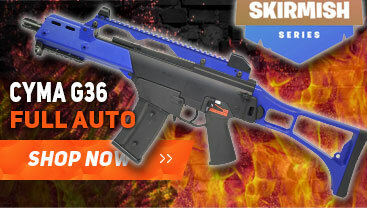 WELCOME TO THE BEST BB GUNS SITE IN THE UK! We have all the best bb guns for sale at the some of the cheapest price's in the uk, our bb guns shop has over 5000 of the best gas and spring pistols and electric and spring sniper rifles with a price match guarantee on all of out bb guns & free uk shipping on orders over £50, we truly believe no other site can match us for value or selection in the UK. We have an excellent bb gun buying guides to help you select the best airsoft guns and if you need any buying advice we at hand to help. We also have a host of bb pellets, targets and airsoft masks etc. All of our bb guns and other products are on site at our 6000 sq feet warehouse/store for you the see & try before you buy. Beware of some bb guns sites who drop-ship or are based out of a bedroom, we are a real v.a.t paying company with a backup service that sells just bbguns. we sell all of the major brands of airsoft gear with bb gun parts, masks, airsoft targets and camo army clothing. if you cant find the bb gun you want on the site, or if you see a product cheaper on another site, email or call us and we will get it in for you and beat their price. 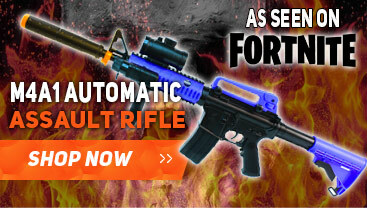 No worries we also have a huge selection of black replica airsoft guns, rifles and pistols for sale and in stock on this website. They are all available for UKARA members and filmmakers etc, in fact we have more black airsoft guns then many other websites that specialise in only ukara guns and if you want to see them in action why not visit our physical store in Essex. 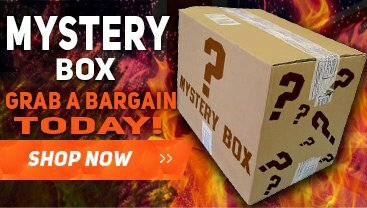 So whatever you need from everything in the airsoft world or if it's only bb guns you are looking for we have the lot and we also price match any other site. We dont just sell bbguns! We also are proud to offer a massive range of military themed clothing for any situation that you might require it for We can kit you out from head to toe with our range of airsoft clothing. Tag a picture of your self with stuff you bought with #bbguns4less or upload it directly here for the chance to win for a €100 store credit.